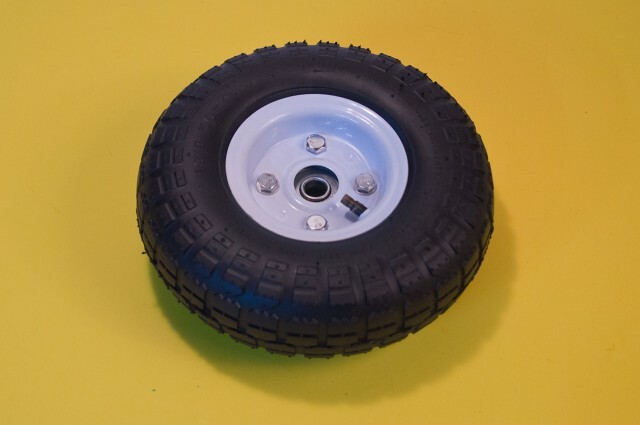 In our last post about the Power Racing Series which was aptly titled Wheels of Fail, we talked about the crappy Harbor Freight wheels and how they sometimes explode (not really) and ways to strengthen them. 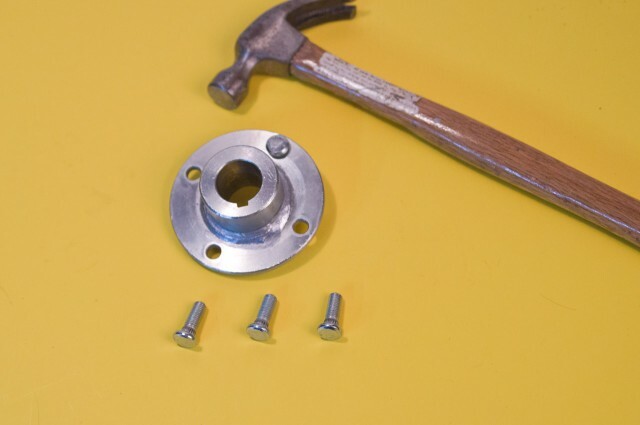 This time we’ll focus on adapting them to a 1″ live axle setup. 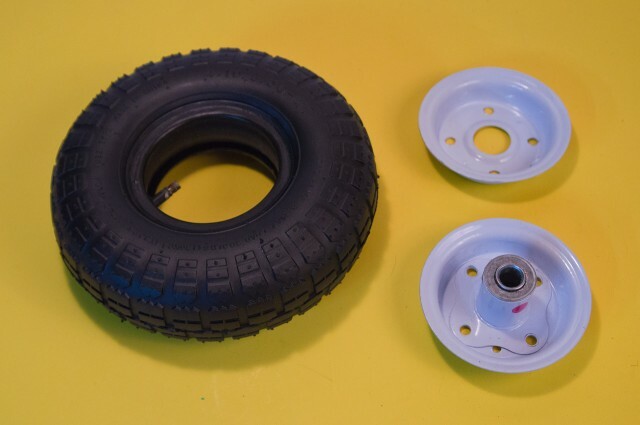 If you’re not sure what a “live axle” is, it describes a setup where the entire rear axle spins and (at least) one wheel is attached to the axle to spin with it. Here’s a good description. Let’s get some parts! 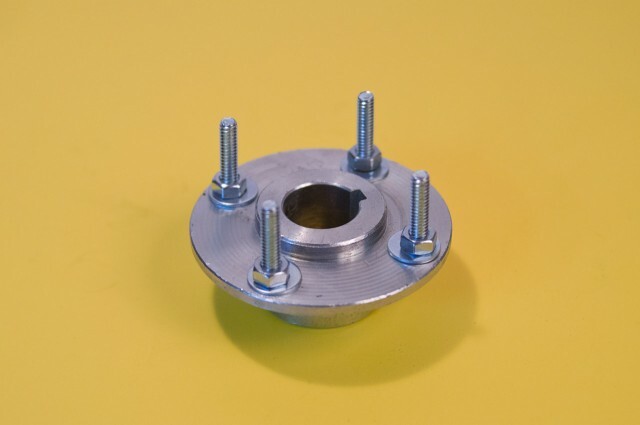 Over at BMIKarts there’s a 1″ live axle at around $25 (depending on length) and you’ll also need a 1/4″ Keystock that is used in the Keyway of the axle to hold the wheel in place. 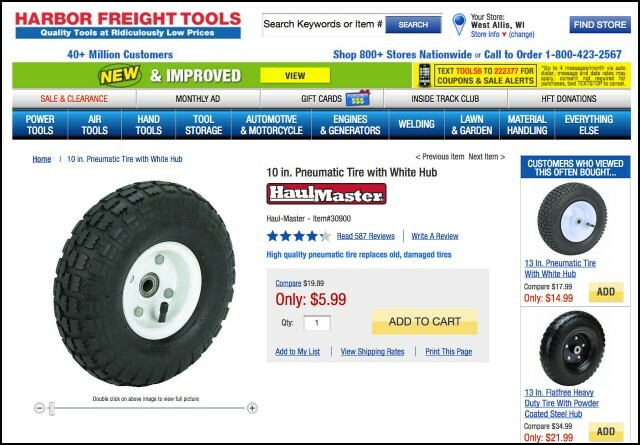 Here’s our Harbor Freight wheel. It’s got (poor quality) bearings and ready to fit on a 5/8″ axle, but since we’re using a 1″ axle we need to make some modifications. Oh, make sure you let the air out before you take it apart! 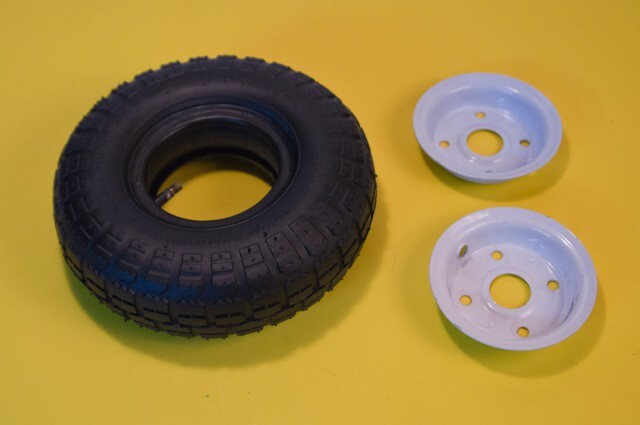 Get rid of the rim with the extension tube on it, and use the shorter rim from the second wheel. You got two, remember? Did you take them both apart? Good! You did it right! Depending on your setup you might want a different solution. 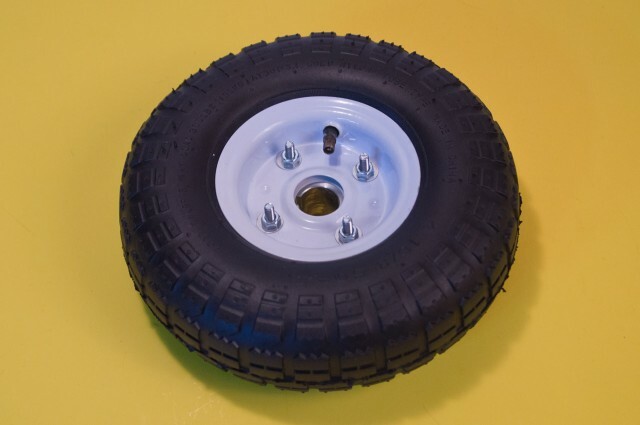 The Harbor Freight wheels work with a 2-13/16″ hole pattern, so use that. And if you don’t use a 1″ axle, choose what matches your axle. Put it all together! Take that hub, stick it through the rims, and don’t forget the tire! 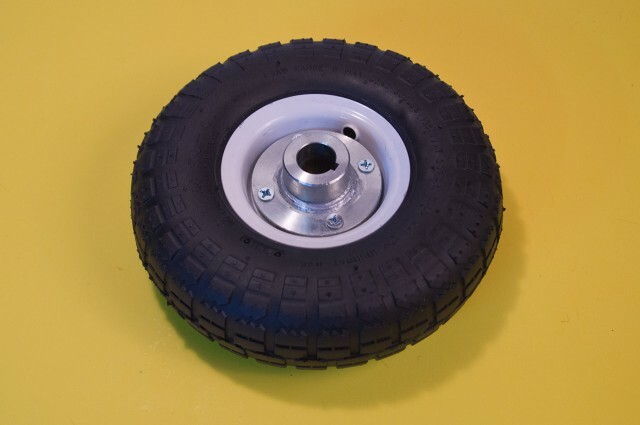 You’ve got a drive wheel all ready to go on your 1″ live axle. Posted on Sunday, June 18th, 2017 at 10:13 am. Subscribe to the comments feed. Both comments and pings are currently closed. Post on your own blog.